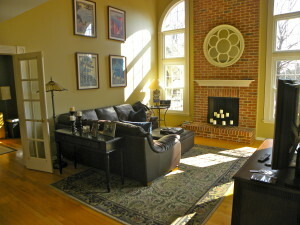 RECLAIMED BEAUTY THRU REDESIGN - Decor Designs, Inc.
Redesign is all about helping reclaim the beauty in a home. 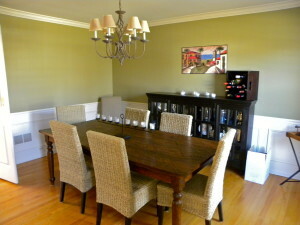 I thought I’d share pics from another big decorating project this week for a very nice client in Deer Park, IL. While the home had excellent bones and very nice color palette, it lacked those finishing touches that make it feel cozy and complete. After a consultation, I was given a budget to add as many of those touches as possible and I think the results speak for themselves. The Living Room featured a mid-century bar cabinet we wanted as the focal point of the room. So we added a silver hammered bar cart for additional bling and storage. And above the two, we took apart a wine riddler and fastened the pieces to the wall to create a unique backdrop as wall art and wine storage. Since I’m a fan of reusing as many things as possible, the Family Room rug replaced the existing rug in the Living Room which, in turn, found a new home in the Dining Room. 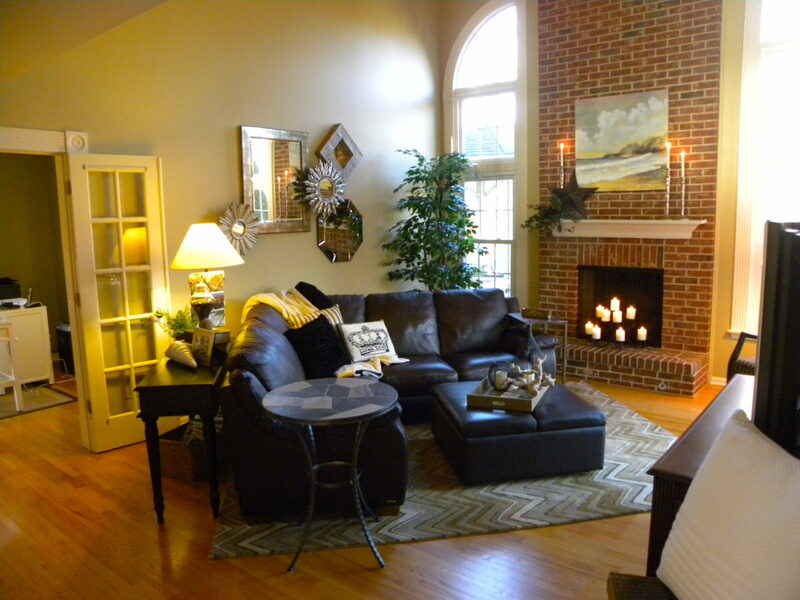 New pillows, lamps and accessories updated the Living Room space even more. 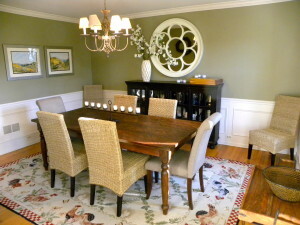 The Dining Rooms repurposed rug added need pattern and interest. And the mirror from over the fireplace was reused in this space along with a few new pieces of art and accessories to complete the space. 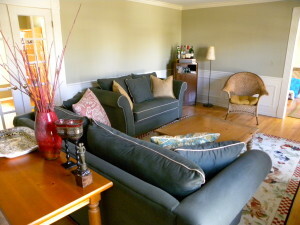 The Family Room got a new wool rug, arm chair and accessories. The clear favorite part of the entire redesign was the unique focal wall we created using mirrors. We layered the mirrors over one another creating a collage for a dramatic touch which the homeowner thought was amazing. 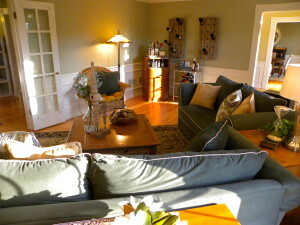 A very, very happy owner walked from room to room repeating over and over that she couldn’t believe this was her home. Things she’d grown tired of had new life and felt brand new. All in all, a job well done if I say so myself. This entry was posted in Decor Designs, Inc., Interior Decorating, Redesign and tagged Interior Decorating, Interior Redesign on March 22, 2014 by Jeff Rice.